Marc's foray into beauty can only mean good things for fashion and beauty lovers. So this holiday season go ahead a pick something from Marc Jacob's Beauty for yourself or someone special. 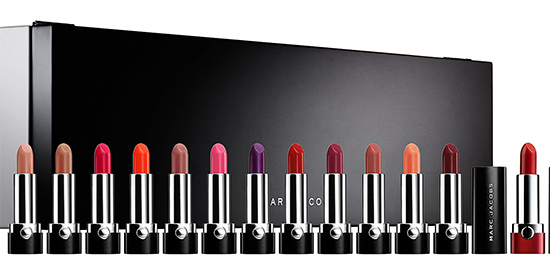 This limited edition holiday set features 13 Lovemarc Lip Gels in a luxe lacquer box. This limited edition powder is inspired by Marc Jacobs' Fall 2013 runway show. This 7 piece set includes new limited edition shades.